If you follow my blog, you know how I feel about DOLLAR TREE! Well, they've done it again! Another item we can use as an effective engagement tool in our classrooms! My friend was so excited to share this with me because she couldn't believe she found something at Dollar Tree before me! (I practically work there!) Now, we're sharing with you! 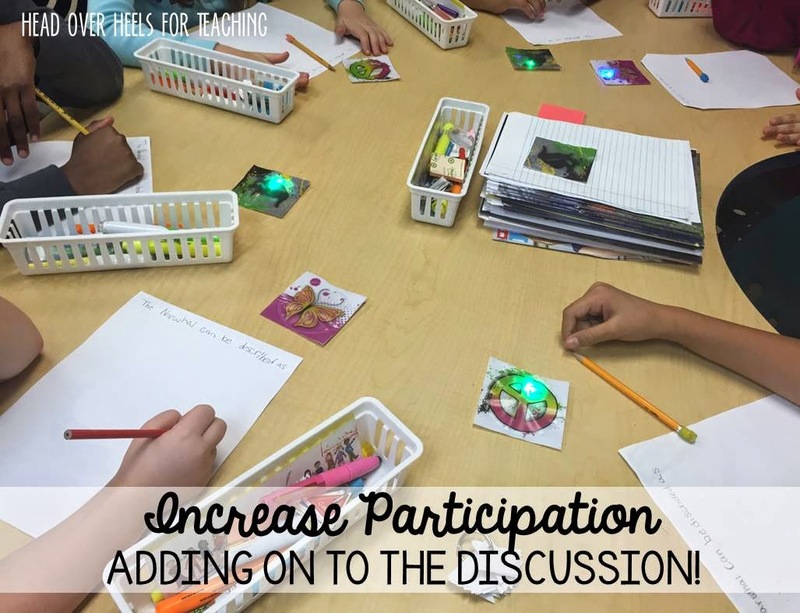 Want to get even your reluctant learners to participate? 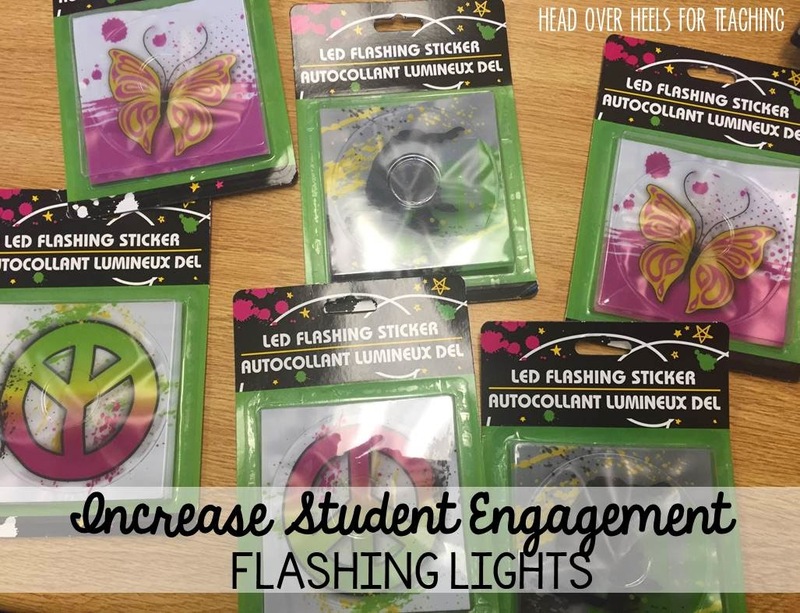 These flashing lights will get ALL your students excited to share their thinking!! The flashing light signals me that this student wants to participate and she's ready to share! 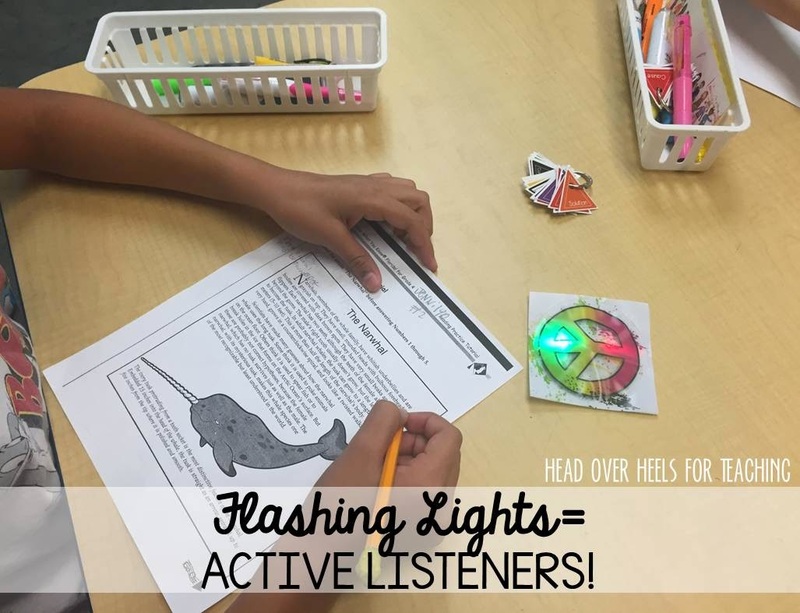 In order to activate the light, you must be an active listener so you can answer the question correctly or cite evidence from the text. And, you KNOW they all want to activate the light, so they're ALL listening! :) We're so tricky sometimes aren't we??!! After a student answers, I like to see if my students have anything else to "add on"...these lights are the perfect tool to see who has more to share. Sometimes we have those quiet students who know the answer, but are sometimes reluctant to share or other more vocal students take over the discussion. 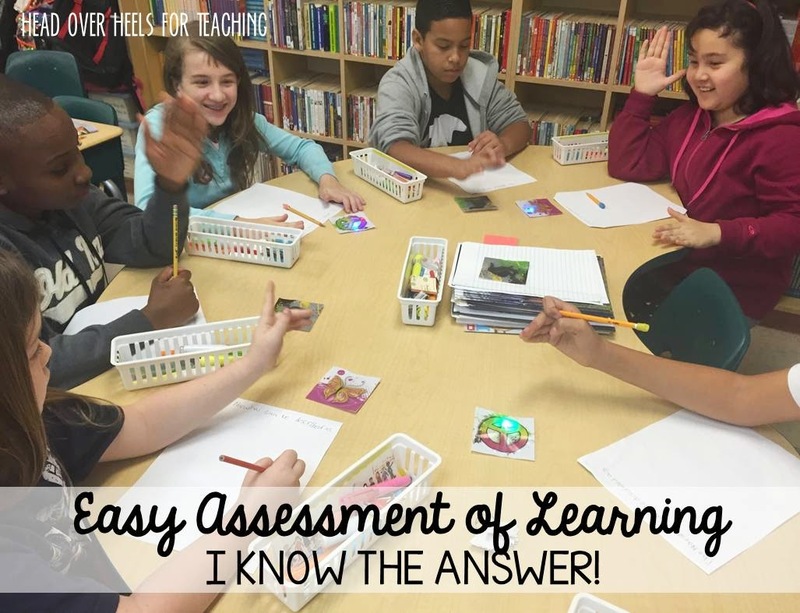 This "silent" gadget allows everyone to participate and is a quick tool for me to assess their learning and understanding! My own children LOVE these stickers so I'm sure my 4th graders will too! Thanks for the awesome idea! Watch the holiday and dollar racks at Target. I bought these for my treasure box both after Halloween and Christmas for $0.25!! They weren't holiday scenes, just characters (Frozen, superheroes, princesses, animals, etc). A few weeks ago I saw some more on an end rack by the Valentine stuff, but they weren't on sale so I kept on walking. I never thought of using them like this. Great idea!!! I LOVE this idea! 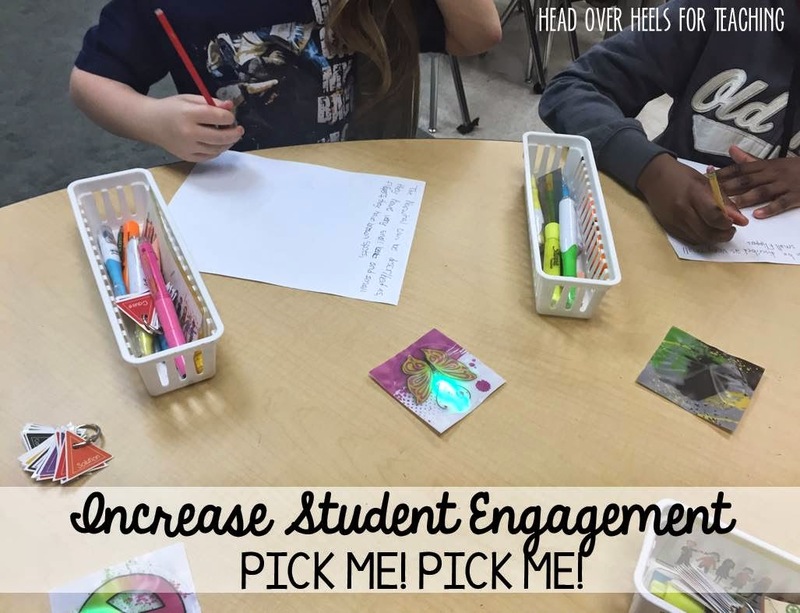 It would totally work to engage me, so I know it works for students too! Well done! Totally works...One of my students is very difficult to get engaged in lessons saw another student light his sticker and he said can I do what he's doing and I said once you get your problem done he did his problem faster than he has all year and correctly he was able to light he was engaged the entire math lesson thanks for the wonderful idea! What a terrific idea! I definitely see this working for my 7th graders. My 8th & 6th graders have no problem participating...lol. Thanks for sharing! This is a fantastic idea! Thanks for sharing! I think that The students have a bright future. we can see their interest in pictures. I am very happy to discover your post as it will become on top in my collection of favorite blogs to visit. piano tiles 2 game|Clash of Kings game|Return Man 2|piano tiles apk|Photo Grid|I'll intro some app to u download camera b612|Return Man|Ultimate douchebag workout|,Clash of Kings download|b 612|Photo Grid Download|Do you want to try Clash of King|play Douchebag Workout 2 games|Return Man 2|? Wow great blog I think my friend was right a2 lambskin leather bomber jacket for sale, My friend suggest me to visit your blog to get useful information and now I’m also satisfied he was right now I’m your visitor. good work sir keep it up.